This chapter of Tim Gilmore’s Stalking Ottis Toole: A Southern Gothic is part of the only biography of the supposed serial killer Ottis Toole. 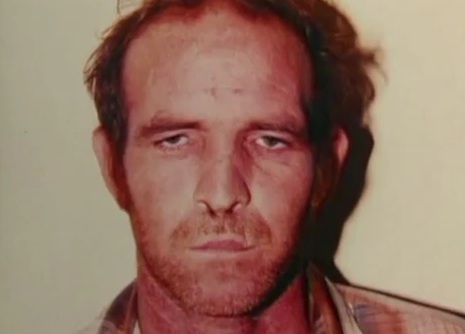 Stalking Ottis Toole: A Southern Gothic is the only full-length exploration of the contradictions of Jacksonville’s Ottis Toole and the story that supposedly led to one of America’s worst serial killers. What did the boy look like? Adam had been wearing sandals or flip flops, green shorts, a red and white striped shirt. His hair was dark and straight. In this first confession, Ottis said he and Henry kidnapped Adam, not knowing that Henry was in jail at the time. And later, what did Ottis and Henry do with Adam’s clothes? And what did they do with his body parts, other than his head—the only part of Adam ever found? “No, but I mean a six year-old child like this,” Terry said, informing Ottis of Adam’s age. And how many people had Ottis seen Henry Lee Lucas himself kill? “He was taken from a Sears mall?” Ottis asked. By the time of the next confession, after Ottis had been told that Henry couldn’t have been with him when he’d abducted Adam, Ottis was learning to do his best to get the answers right. He didn’t like when he was pressured to get the answers right and he kept getting the answers wrong. But Ottis said he didn’t really know the difference between north and south or east or west. “Look at me,” Terry said. It annoyed him how Ottis was always looking at the ceiling and wagging his head around slowly. “My mind is gettin’ stuck,” Ottis said. But Ottis couldn’t remember what he had told Hoffman before, or if what he had told him was wrong or right. “I’m not tryin’ to do nothin’,” Terry said. And Ottis repeated himself. He knew what Terry was trying to do. Later, when Hoffman showed Ottis the picture of Adam’s decapitated head, he asked him if this was the child he had abducted. But Ottis didn’t say anything. What was the difference between thinking and knowing? In the next couple of years, police detectives and even Henry, talking to him from his prison in Texas, would keep telling him to tell the truth. But they would always indicate that if he told the wrong truth, the truth they didn’t want him to tell, his answers would be all wrong. He really wanted to get the answers right. If they wanted him to be a killer, he would be the very best killer they had ever heard of. Ottis just sat there, not saying anything. No question that he had abducted a child from that shopping mall, just a question of whether this severed head in this photograph was the head of that child. Again, no question he took a boy. The only question Ottis had to answer was whether this boy was the one. And Ottis said, “The other pictures, the other pictures look more like him than that one does.” The other pictures were of a living boy. “I don’t really know if I have at all, now,” Ottis said. It was almost eleven at night, and the police detectives decided to wrap it up. They told Ottis they’d start again in the morning, but just a few minutes later Ottis said he wanted to talk to them more, tonight, because he hadn’t been telling them the truth. He told them he had gone to a Sears store, had picked up a little boy. “Did he tell you his name?” Hoffman asked. He said he had kidnapped Adam and beat him and killed him and chopped off his head. “This is the final statement,” Ottis said. Ottis said he hadn’t “throwed” Adam’s body parts all over the highway after all. Nor had he buried them in different places near where he’d tossed Adam’s head. Instead, he had brought Adam’s body back to Jacksonville. He had brought Adam’s body back to 708 Day Avenue, his mother’s house, which he had burnt down, and burnt the body in a scrap refrigerator in the back yard. In fact, after leaving Wilmington, Delaware, where he and Henry had deserted and burnt Ottis’s brother Howell’s pickup truck, someone found Ottis lying on the floor in a church and he was hospitalized in Newport News, Virginia for depression. He had talked about roaming the East Coast and sleeping outside and how his mother had just died and how he imagined he could hear her talking to him. The next day, the Salvation Army gave Ottis a check to take a Greyhound bus from Newport News to Richmond to Jacksonville, which took somewhere between 14 and 17 hours. If he did kill Adam, then after his breakdown in the Newport News church, his hospitalization, his 14-to-17-hour Greyhound ride, he arrived in Jacksonville, picked up his Cadillac from the roofing yard where he’d once worked, and drove another five to five and a half hours straight to Hollywood, Florida, or according to another of his confessions, about six hours or more to Miami, where he walked the streets and prostituted himself for a few extra dollars before heading back north to the mall in Hollywood, kidnapped Adam, did what he did with him, and drove five hours or more back to Jacksonville.